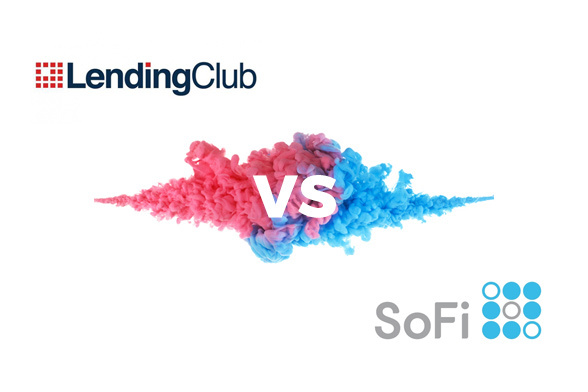 SoFi and LendingClub are two of the top peer lending platforms in the alternative lending industry. Upon closer examination, however, you can readily see that they are tremendously different in regards to their business platform, loan terms and requirements, fee structure, and culture. If you are currently in the market for the best personal loan for your needs, both Lending Club and SoFi​ are good options. This review matches the 2 against each other in a head to head comparison so you can figure out which is the best choice for you. 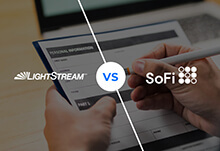 Both SoFi and Lending Club offer online application processes that require potential borrowers to submit general information about income, personal details (name, address, email, telephone number), and employment history. Both services run a soft credit check, so your credit score won’t be affected by the inquiry. Once the application is received, you'll get your rates upon approval. If you like what you see, you can accept the terms of the loan and get the ball rolling. SoFi loans generally take just a few days to arrive, while Lending Club loans may take up to 7 business days to be fully processed and deposited into your account. With Lending Club your application gets shown to a pool of investors, and they decide whether or not to take your case, giving borrowers more opportunities to the loan they want. Something else that borrowers might appreciate about the Lending Club is the joint application process, which allows you to apply in conjunction with another person. The benefit is that even if you have a poor credit score, for example 540, as long as the other member of the loan has at least a 600 or above, Lending Club will allow you to apply. Lending Club and SoFi tackle fees very differently, and this is an important distinction for borrowers to understand. 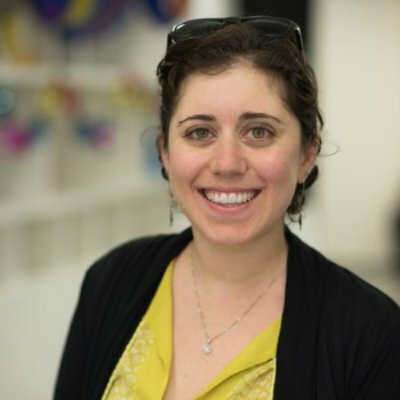 SoFi is incredibly flexible and forgiving in terms of its fee policies. In fact, it doesn’t charge any fees except a late fee which is very reasonable (see the table below for more details). Additionally, SoFi offers borrowers a lot of flexibility in terms of payment issues. For example, it provides borrowers with unemployment protection, a sort of insurance policy that freezes your loan in the event that you lose your job or cannot work for any reason. SoFi will also help borrowers who suddenly find themselves unemployed locate new employment opportunities. Finally, SoFi lets you defer payments as long as you have a good payment history. So, if you know you’re going to be late for a payment one month, you can contact SoFi to reschedule your payment so that no late fees will apply. Lending Club doesn’t have a lot of fees, but it cannot compare when it comes to SoFi’s generosity and understanding. Also, the origination fee can be as high as 6% of your overall loan. For example, a $30,000 loan could come with an origination fee of as much as $1,800. That’s a tremendous amount tagged onto your loan payments. The late payment fees are also less understanding, charging the higher value of the two options when applicable (as opposed to SoFi which charges the lesser of the two). Lending Club, on the other hand, offers personal loans for all manner of reasons, which is a big plus. However, it does not specialize in any specific type of personal loan. Additionally, it offers green loans, also known as payday loans. 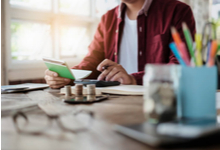 Although helpful because it meets the needs of a range of borrowers, the lack of specialization can be considered a drawback when it comes to getting the best possible rates for more specific borrowing situations. SoFi offers both fixed and variable rates to customers, whereas Lending Club only offers fixed rates. Additionally, SoFi boasts some of the lowest fixed rate APRs in the entire industry ranging from 5.74% - 16.99%. What’s more, SoFi gives borrowers more flexibility in paying out their loans, providing repayment options of 3, 5, and 7 years. Lastly, it offers a higher maximum loan amount of $100,000; that’s more than most lenders will provide. Lending Club cannot compare in this area, with a range of 6.95% - 35.89%. Additionally, Lending Club requires borrowers to choose between 3- or 5-year repayment plan options, and its maximum loan amount is capped at $40,000. The loan requirements of a lender are just as important as its terms. If the terms are too steep, borrowers will not be able to meet the requirements, missing out on the opportunity for a loan. Lending Club deals with lower credit scores, stating that a minimum score of 600 is required. As stated above, this lender will even work with borrowers who have credit scores as low as 540 providing they are applying under a joint application with someone who holds at least a 600 credit score. That being said, Lending Club’s average borrower ranges around 699. SoFi, on the other hand, likes to work with people who have much better credit. Its average borrower is young and ambitious, the go-getter types. Clientele is usually employed with a solid income, healthy expense-to-spending ratio, and has a good financial history. The general credit score is 680 or higher, but SoFi will accept applicants with lower scores if other factors are in their favor. For its slightly more flexible terms, Lending Club takes this category. Unlike Lending Club, SoFi provides its customers 24/7 support, which can be extremely helpful when catering to students who keep non-traditional hours. SoFi also gives a discounted interest rate for customers who enroll in their auto-pay program. Lastly, SoFi has a career counseling and unemployment protection platform that is unmatched in the industry. Career counseling entails providing customers with resume review, interview coaching, and salary negotiating tactics. If a customer loses their job, unemployment protection will kick in, where SoFi will pause student debt payments and help customers with their career counseling program. And, if you appreciate events, get-togethers, and networking, you’ll enjoy the social aspect of SoFi (which stands for Social Finance) - SoFi Community. These regular networking events bring borrowers and lenders together for greater employment opportunities, financial education workshops, and other social forums for people to meet and greet. Lending Club has a 3-star rating on Consumer Affairs. Many of the complaints claim hidden charges, unresponsive customer service, and unethical deception. SoFi also has a 3-star rating on this site, but the complaints mainly revolve around not getting approved. As SoFi clearly states its approval policy, this seems to be simply a misunderstanding on the part of the borrowers. In general, the comments and reviews of SoFi have been overwhelmingly positive. Additionally, SoFi has an A+ BBB rating, which speaks volumes to the reliability and trustworthiness of the company. SoFi is the clear overall winner, and managed to sweep nearly all the categories. That being said, however, Lending Club is still a great solution for borrowers with a wider range of needs. The narrow focus of SoFi means that its loan services are provided only in several niche areas whereas Lending Club can meet the personal loan needs for a variety of different scenarios. SoFi is the optimal choice if you have good credit and employment history. If your credit score is lagging behind, Lending Club is an excellent alternative. Check out our in-depth reviews of brands like SoFi and Lending Club and learn which company offers the personal loan that best meets your specific borrowing needs. LendingTree vs Lending Club - Which is the Better Loan Company? LendingTree vs. Fiona: Which Personal Loan Provider is Better? 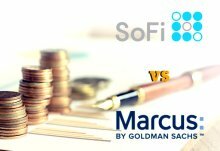 SoFi vs. Marcus: Which Personal Loans Company Is Best for You? Best Egg vs LendingClub: Which Loan Provider Comes Out On Top?